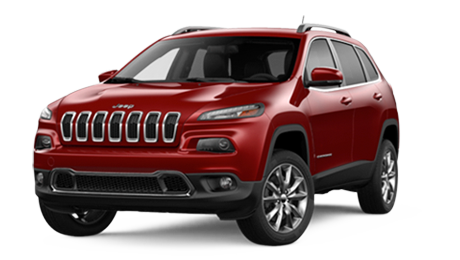 Jeep® Cherokee features front and rear independent suspensions that provide outstanding on-road driving dynamics and a fun-to-drive experience. 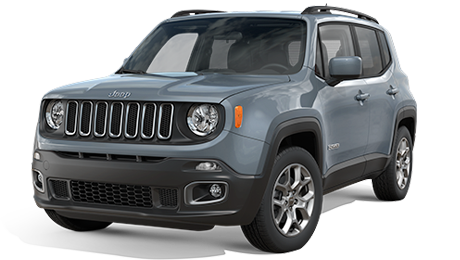 A speed-sensitive electronic power steering system helps improve efficiency and automatically adjusts for sporty handling on the road or limited effort maneuvering during parking. 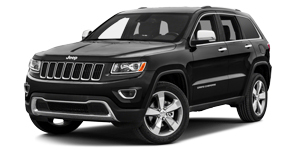 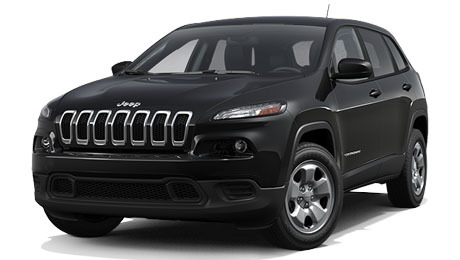 The Jeep® Cherokee features a nine-speed automatic transmission that, when mated to the 2.4L MultiAir® II Tigershark® I4 engine, achieves up to 490 hwy miles on one tank. 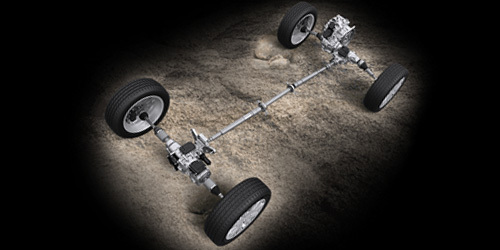 The powertrain features a Best-in-Class disconnecting rear axle+ for maximum fuel efficiency while providing superior 4x4 performance. 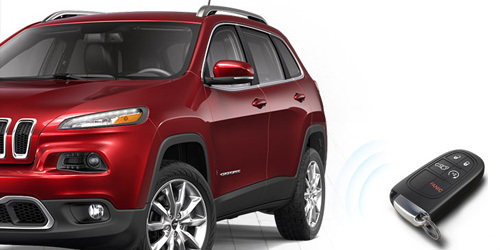 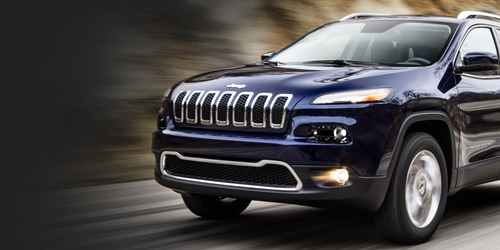 The Jeep® Cherokee features leading capability with three innovative 4x4 systems. 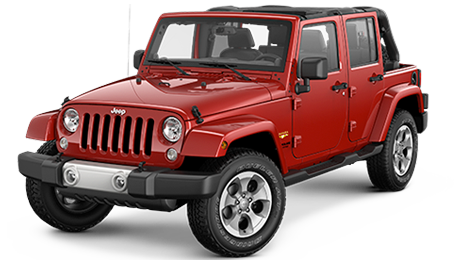 The Jeep® Active Drive II 4x4 available system with low-range is great for rock crawling and has a neutral mode for flat towing behind an RV. 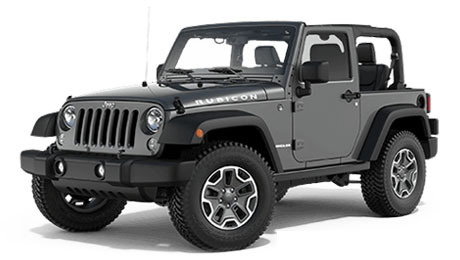 The single-speed Jeep® Active Drive I 4x4 system with brake traction control is ideal for those who want something easy-to-use with all-weather capability. 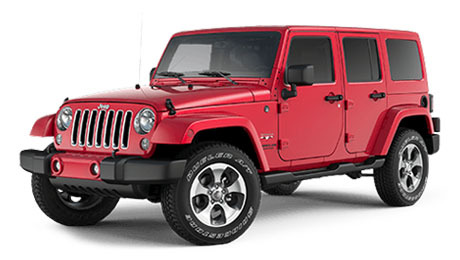 The Best-in-Class rear axle disconnect+ feature only engages 4x4 when necessary for greatly improved fuel efficiency. 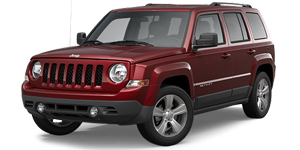 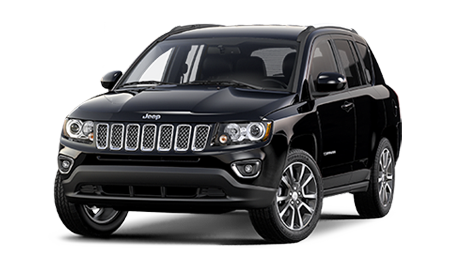 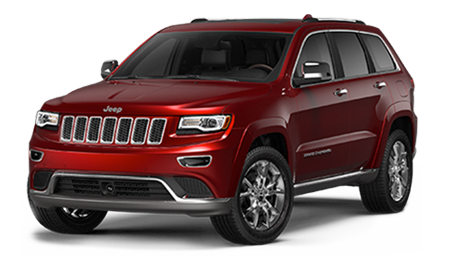 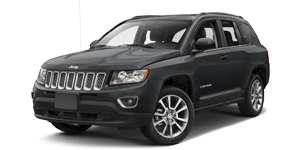 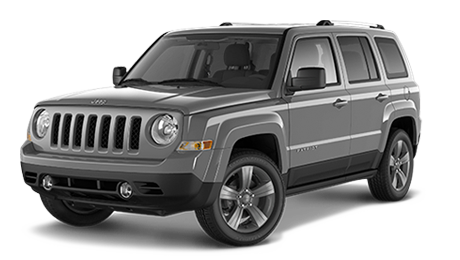 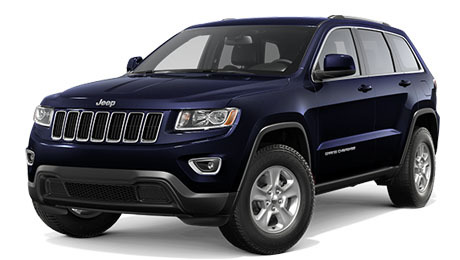 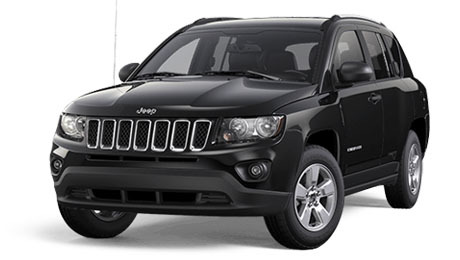 Cherokee Trailhawk® features its standard Trail Rated® Jeep® Active Drive Lock 4x4 system with 4-Low and a rear locker. 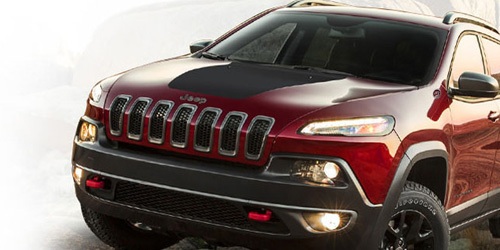 Jeep® Cherokee raises the bar for efficient 4x4 performance with Trail Rated® 4WD capability. 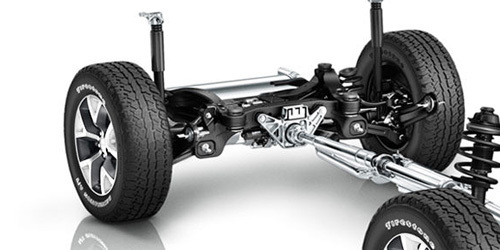 Electronic power steering helps reduce engine load to improve mpg and nimbleness with a tight 37.6-foot turning circle. 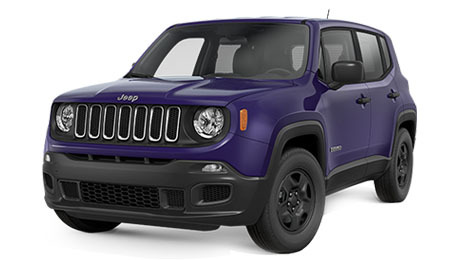 Trailhawk® is the ultimate expression of Cherokee off-road ruggedness and performance with a factory rear locker, a 56:1 crawl ratio, skid plates, 20-inch water fording capability+ and an off-road suspension with 1-inch factory lift. 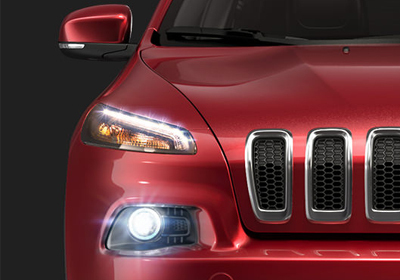 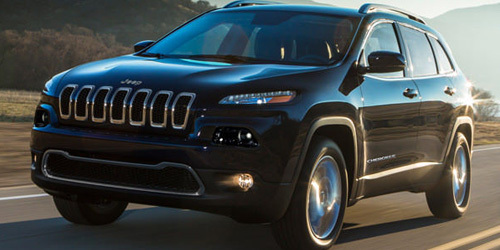 Cherokee was made for moving, pushing boundaries and exploring regions unknown. 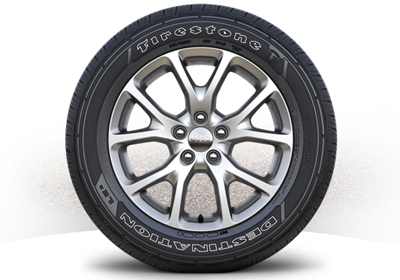 The wheel and tire combinations were designed to help you stand out from the cookie-cutter crowd and be an original. 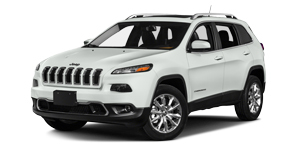 Whether you're piling in the kids or hauling an inflatable kayak for a paddle, the Cherokee has the versatility and flexibility to amp up your active lifestyle. 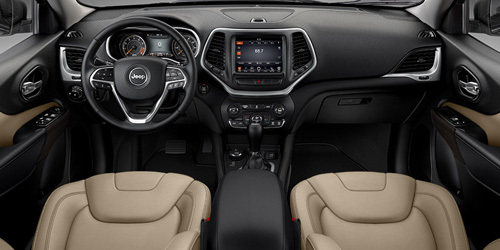 A 60/40 split folding second-row seat and fold-flat front passenger seat offer lots of choice for interior configurations. 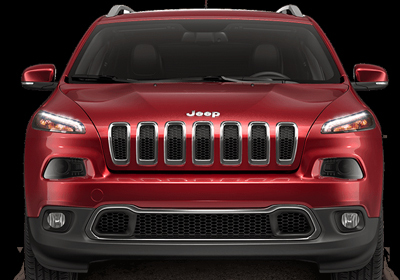 Open up to new experiences in the 2015 Jeep® Cherokee. 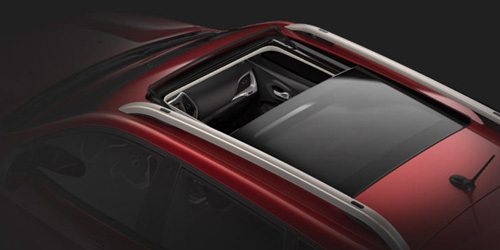 The available CommandView® dual-pane sunroof offers wide-open viewing day or night. 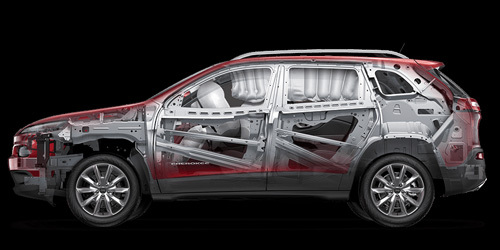 It includes a power sliding glass front panel and a fixed glass panel with power sunshade in the rear. 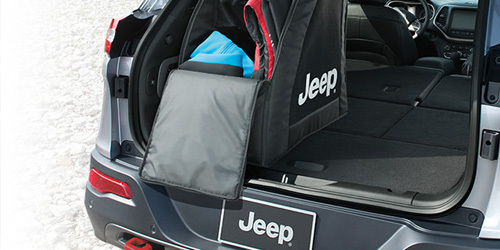 The Jeep® Cargo Management System makes the most of your rear cargo space, adding the versatility you need for your active lifestyle. 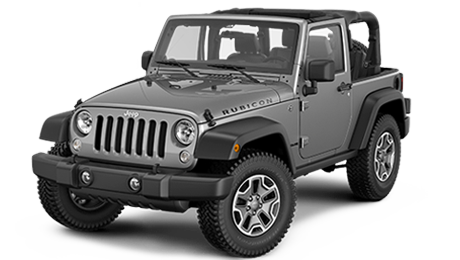 Available Mopar® accessories, including a cargo bin, collapsible cooler, first aid/emergency kit and off-road accessory kit, mount to the rear cargo module rack for secure storage solutions. 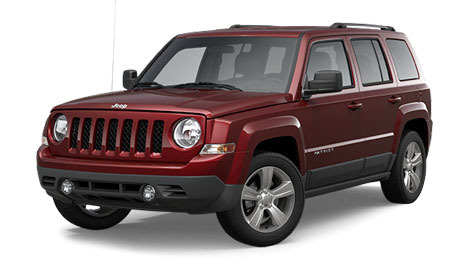 The vehicle offers more than 70 standard and available safety and security features including full-length side-curtain and side-thorax airbags, Lane Departure Warning, Adaptive Cruise Control with Stop and Go, Parallel and Perpendicular Park Assist, Blind Spot Monitoring, Forward Collision Warning with Crash Mitigation, Rear Cross Path Detection and 9-1-1 Call button.. 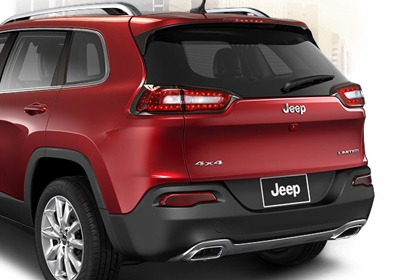 The Jeep® Cherokee offers a cocoon of safety and security features as well as coaching aids to help you maintain control and make better decisions. 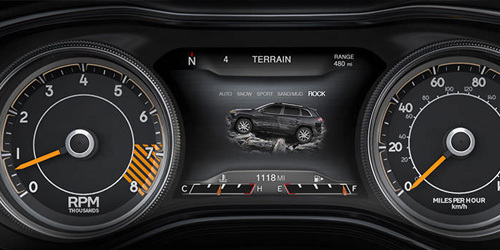 Just a few of the many available systems include: Blind Spot Monitoring, a ParkView® Rear Back Up Camera with dynamic grid lines (includes center line for RVs) and Electronic Stability Control. 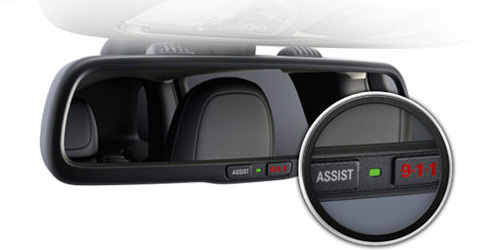 The emergency 9-1-1 Call button summons help immediately, connecting you directly to a 9-1-1 operator, while another button offers immediate access to roadside assistance, Uconnect® System Service or Customer Service.